Gel Me is great for dogs. Helps freshen breath; control, reduce or soften plaque and tartar, control bacteria as well as tooth and gum health. When used properly, results are seen within 3-8 weeks. This gel formula will work systemically through your pet's saliva. 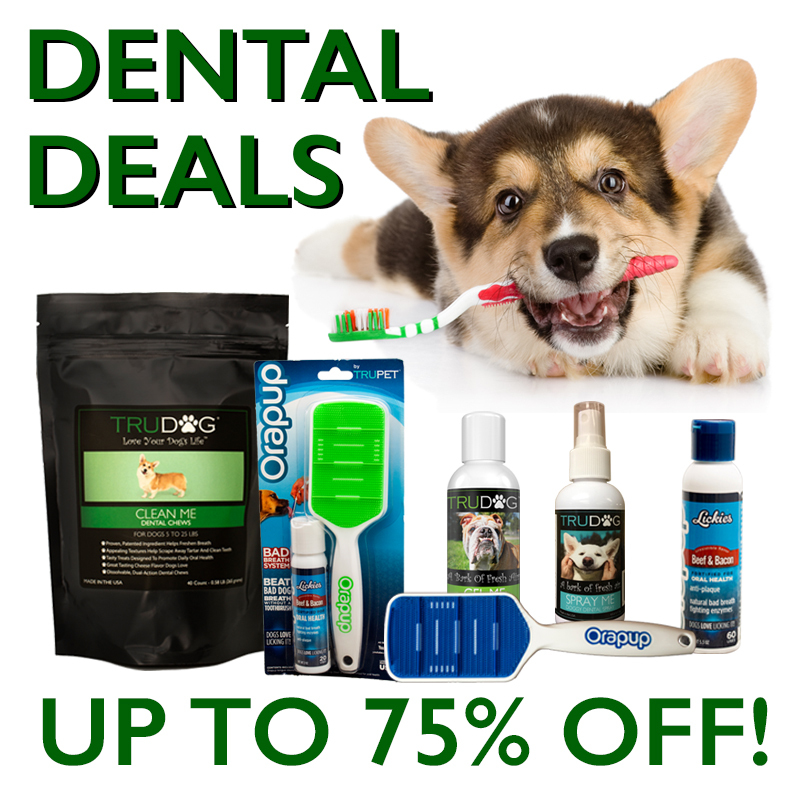 Get rid of stinky dog breath and promote a healthy mouth today with the Orapup Starter Kit! Your starter kit includes an Orapup designed to remove the bad breath-causing bacteria from your dog's tongue. It also includes a 2-ounce bottle of Beef and Bacon Lickies for Oral Health. Lickies are fortified with all-natural enzymes and anti-plaque benefits to help build your dog's natural oral health and defend against bad breath. Designed as a bad breath fighting system, together Orapup and Lickies will keep your dog healthy and happy. This Orapup brush is a great choice to replace that old dirty brush your dog loved! We recommend replacing the Orapup every 90 days to prevent bacteria buildup. This bottle is our best Lickies Value! Save more and get more with Lickies Beef and Bacon Value size. The 5.3 ounce bottle has approximately 60 uses allowing your pup more time to enjoy in between refills. Dental Chews for dogs 5-25 lbs.